(Bloomberg) -- Toronto Maple Leafs followers have a reputation for being hopeless fanatics. Now there’s data to prove it. 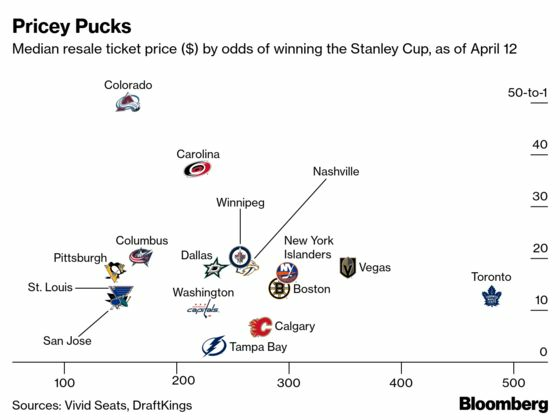 According to Chicago-based online ticket seller Vivid Seats, long-suffering Leafs fans are forking out a median price of $475 per ticket for a chance to see their team hoist the Cup for the first time since 1967.